Our endeavour to continuously improve and develop our client offering means that we are always searching for the most innovative materials. A piece of furniture is a product of both its materials and workmanship; combining construction techniques with cutting-edge materials opens up many opportunities for special designs. We were able to develop such a novel design for a bar in Lugano. Specially moulded glass was built into a wooden frame and paired with a sophisticated lighting system. The result is unique: entirely in black, the bar is striking, elegant and stylish. 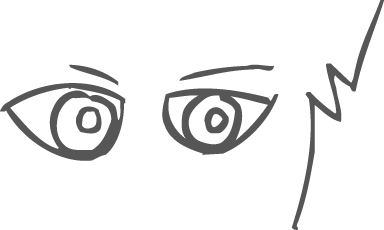 But that is not all; with the flick of a switch not only the furniture, but the whole atmosphere of the room illuminates. 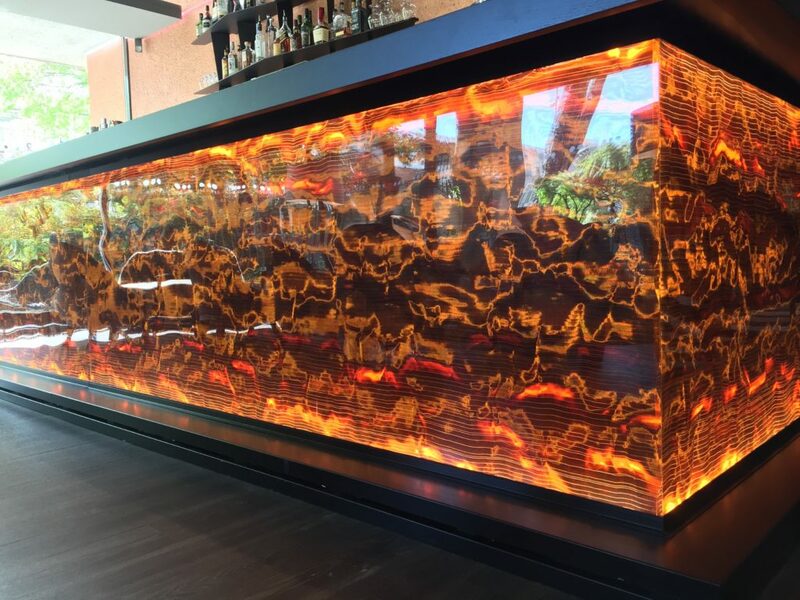 The glass reflects the light, creating a fiery effect on the surface with hues of yellow, orange and red; it’s almost as if the bar is glowing. 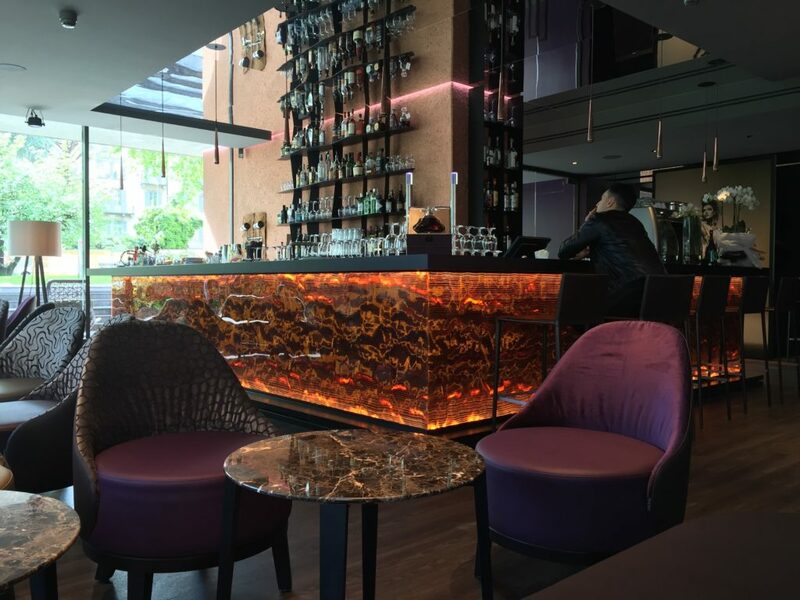 We are sure that this bar will ignite many an evening. Please get in touch if you would like to join us in creating similar innovations.